Jordan, a Roseau, MN native, has always had a passion for the outdoors whether it’s hunting, fishing, or any outdoor recreational activity. Spending summers at the family cabin on Lake of the Woods has given him a love for memories to be made up at the lake. After high school, he attended Bemidji State University and graduated with a degree in Engineering Technology. While at BSU, his experiences gave him the opportunity to explore all that the Bemidji area had to offer for fishing and hunting. Shortly after graduating from BSU, he met his wife, Chelsea, a Walker, MN native and immediately fell in love with what the Walker and Longville Lakes area has to offer. Jordan is excited to plant roots in Walker and start his career in real estate. He is a full-time, year-round agent and would be honored to work for you whether you are buying or selling. 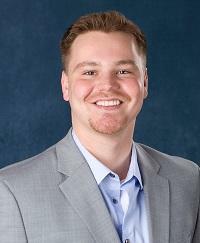 If you are looking for an agent who has the knowledge, work ethic, and communication skills to successfully negotiate real estate transactions, please give Jordan Fevold a call today!